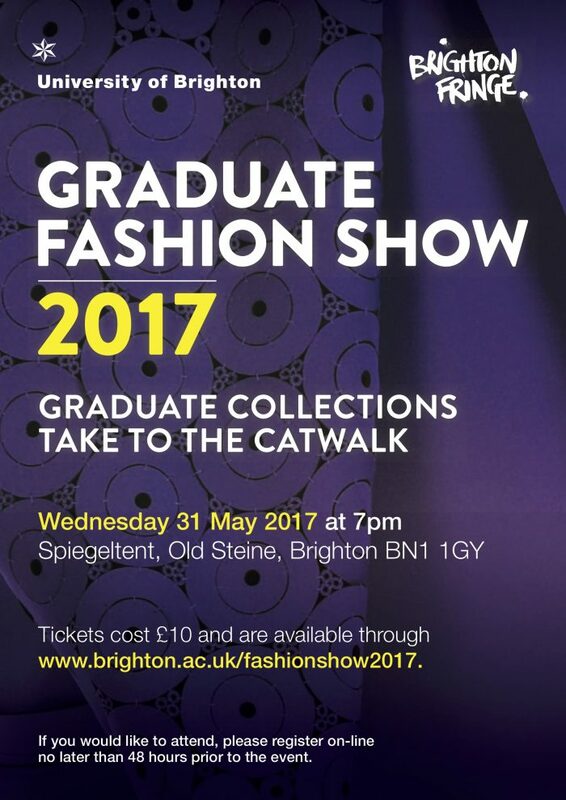 As part of the Brighton Fringe, graduating Fashion with Business students will be showing their collections at the main festival venue on 31 May at 7pm. Book your place by the side of the runway and watch the talented final year students from our renowned Fashion with Business course take their work to the catwalk in this one-off show at the Spiegeltent. This entry was posted in Fashion and textiles, Graduate Show, Graduates 2017, Undergraduate, What's on and tagged brighton festival, catwalk, fashion show, spiegeltent.